Not so long ago, certainly in my teaching lifetime, there used to be a “curriculum” commonly known as “library skills”. The classroom teacher (occasionally a teacher librarian) would take their class to the library and teach them things like the layout of the library, the difference between fiction and non fiction, alphabetical order and Dewey classifications, the various types of reference books and how to use them, and other similar skills so that the students could be ‘independent’ users of the facility, able to do their own ‘research’ and perhaps cite the source from which they had copied their information. Workbooks and worksheets abounded and the evidence of learning was based on their successful completion. and a host of others including my own expanded version of the NSW model. A problem to be solved or a question to be answered generated a need for information. 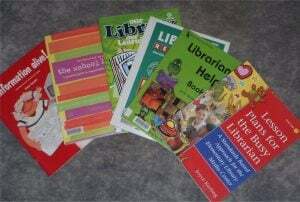 Whichever model was used, the development of information literacy became the specialist subject of the teacher librarian and was viewed as the focus of teaching in the library. However, with the explosion of information as the development of Web 2.0 enabled Internet users to become creators and curators of information rather than just consumers, and the emergence of a plethora of devices which enabled anywhere, anytime access to what was online it became clear that the traditional once-a-week lesson would not be enough to ensure that students were information literate. Going right back to Piaget’s notion of assimilation and accommodation of new experiences being at the core of learning and with the burgeoning understanding of how humans learn based on work by those such as Marion Diamond, Bob Sylwester, Eric Jensen and Geoffrey and Renate Caine , it was clear that developing the concepts and skills necessary to undertake research and investigations was clearly something that needed to be embedded across the curriculum and taught by all teachers within the context of their discipline. The one-off, isolated lesson was not going to result in the sort of internalisation of skills and understanding that could readily be transferred to new situations. So what had been a set of discrete skills with the tag “library skills” and taught by the teacher librarian, often in isolation from anything happening in the students’ classroom, became the responsibility of all with the release of the Australian Curriculum documents and the Common Core Standards in the USA. 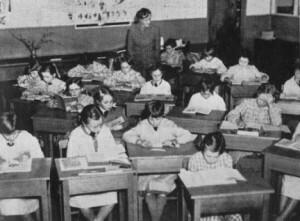 While this makes sound developmental, educational and pedagogical sense, many teacher librarians found it to be a very threatening situation – with no set curriculum, what would be their role in this emerging Information Age; how could they to remain relevant when “everything is on the Internet” and a growing, if fallacious perception that the more a school “went digital” the more modern and efficient it would appear to be. Having a set curriculum like other faculties appeared to be the anchor on which many relied to demonstrate their contribution to the teaching and learning of the school, their raison d’être, even holding onto their job. Before the issue of yay or nay can be decided, it is necessary to consider what such a document might contain. The fundamental element of a scope and sequence document is its scope and fundamental to that is its focus. Being a fan of Stephen Covey’s habit of “Begin with the end in mind” and Simon Sinek‘s “Start with why”, identifying the purpose of the document is essential in order to not only determine its focus but also to make sure that all that is done (and the workload is substantial) is aligned to the vision so it is on target, relevant and meaningful. So what would be the purpose of the document – a flexible guide for planning teaching or a tick-a-box assessment of learning? Being a fan of Stephen Covey’s habit of “Begin with the end in mind” and Simon Sinek‘s “Start with why”, identifying the purpose of the document is essential What would be its key focus? What should be the overarching driving force? In a presentation to local teacher librarians in February 2017, Dr Mandy Lupton demonstrated that all of these, and many more, were elements of a wide range of models that could be associated with information literacy and be considered the realm of the TL. This covers the elements in this diagram. One has to wonder if it would be useful, let alone feasible to produce a document that covered all these elements let alone any other add-ons such as the General Capabilities of the current Australian Curriculum. Having decided on a definition and the parameters, there are still questions to ask and decisions to be made. Will the document be one that describes outcomes, skills or standards? Given that some aspects of information literacy are the same for Kindergarten as they are for year 12, just at a different degree of sophistication, will the document be driven by big-picture ideas for lifelong learning such as “Students will learn to use ideas, information and images ethically” or will it be more piecemeal such as “Students will learn to cite sources using title and author”? Will it be enough to troll the key curriculum document looking for appropriate outcomes and indicators or should other ancillary documents such as the ISTE Standards be incorporated? How will the “21st century skills” be incorporated and addressed? How will differing needs and circumstances be addressed such as access to reliable, robust and affordable Internet access? In her analysis of the current Australian curriculum, Mandy Lupton found that even within what is supposed to be a national document, those writing each subject strand did not use the same language for the same concept so how will this be addressed so there is common language and understanding? In Inquiry Skills in the Australian Curriculum Lupton found that there was not consistency across the subject strands as to when a particular concept was introduced. What might come in Year 3 in one area did not appear till Year 9 in another. There seemed to have been few or no common conversations about what should come when and at what level of sophistication. In the case of the Australian Curriculum, it is always changing (Lupton’s matrix of 2012 is now out of date) and states have adapted it or overlaid their own requirements on top so it becomes more ‘personalised’. Thus the purpose of establishing a common body of knowledge is blemished. While all schools are expected to follow the Australian Curriculum, different approaches to addressing it are taken, including the International Baccalaureate so delivery and expectations are shaped by these. The development of information literacy and inquiry skills are not linear – it is a recursive practice as information seekers go back and forth according to purpose and need – yet a traditional matrix would not reflect this. While an experienced TL might be able to factor this in, it might be confusing for a new TL or a principal expecting to see boxes ticked as taught. Learning is a spiral that is unique to the individual learner so how would the concepts of “introduction, consolidation, mastery” (or similar terms) be addressed and depicted? Mastery of a concept is demonstrated when its associated skills are transferred to new, unrelated situations and the learner can explain what they have done and teach others but this might not ever be apparent if the TL is working in isolation and it may not ever occur within the students’ time in formal education. There is not necessarily an endpoint to becoming information literate. While the original intention may be different, many scope-and-sequence documents become a tick-a-box checklist particularly in the current climate of testing, testing, testing and data collection so what happens to those for whom learning is not easy or very easy and who have the right to have their needs met? In a time of differentiation, does imposing a lock-step curriculum take us back to the outdated, fallacious notion that one size fits all? Maybe UNESCO has provided the beginning of the answer. They have attempted to bring together the fields of information literacy and media literacy into a combined set of knowledge, skills and attitudes required for living and working in the 21st century by identifying the Five Laws of Information and Media Literacy. Returning to the big-picture view perspectives of Covey and Sinek, even McTighe and Williams’ Understanding by Design which place the end result at the beginning, these laws could be a sound foundation for any scope-and-sequence document. If we believe Law 5 which begins “Media and information literacy is not acquired at once. It is a lived and dynamic experience and process” then it may be possible to take the other four laws and ask what each might look like at each year level; what knowledge, understandings, skills, attitudes and values are appropriate for this law at this level for these students so that any document that is produced has a common direction and cohesion using the curriculum outcomes you are obliged to address while acknowledging that there is no one-size-fits-all as the tick-a-box testers would like. Creating a scope-and-sequence document is easier to say than do. There are many arguments, both conceptual and practical, for and against its creation and its use. Conversations with colleagues and social media messages suggest that there is a desire for such a document to provide direction and clarification but I suspect that this post has created more questions than answers! As the cooler days of Australia’s winter encroach, more and more students make their way to the library as a warm haven during recess and lunch breaks. But to expect them all to want to curl up and read for that time may be a bit ambitious so this is a perfect opportunity to introduce them to some of the “old-fashioned” board and card games of yesteryear. Those of us of a certain vintage may well remember the family nights where televisionwas turned off (if there were a television) and games like Monopoly, Scrabble and Squatter would be set up or a lively game of cards would ensue. As well as being entertained, we absorbed the social niceties of taking turns, sharing, patience and how to lose gracefully while learning to think strategically, plan ahead, and know enough maths to keep the scorer/banker honest. Like traditional fairytales, the best games always had something to teach us. Many games feed directly into specific curriculum outcomes and priorities justifying their existence in both the library and the classroom as yet another way of meeting the diverse learning styles of our students. Libraries Got Game: Aligned Learning Through Modern Board Games by Brian Mayer and Christopher Harris explores the role of games in education in depth offering sound pedagogical evidence for their inclusion in the classroom and library programs. Even though the curriculum links are US-based, it’s a small jump to the Australian Curriculum. Games were a popular part of my library’s resources and one of the most popular pastimes that continually drew participants was the jigsaw table. Edged with strips of dowel glued down to minimise the chance of pieces landing on the floor, there was always a jigsaw waiting for a passer-by to stop and add a piece or two. Even the principal couldn’t resist. The difficulty of the puzzles varied, but given their importance in the development of visual acuity and spatial awareness, eventually I had two tables – one for the K-2 brigade and the other for those older (including adults.) Initially I bought the puzzles new to ensure they were complete, but I also got donations from puzzlers who had completed a puzzle and didn’t want the challenge of doing it again. Board games were also popular, especially those that could be completed in a short session like Chinese Checkers, Trouble, Ludo, Snakes and Ladders and Junior Scrabble but there was also the opportunity for students to continue a longer game like Monopoly over a couple of days because I had the luxury of space to keep it set up near the circulation desk. It amazed me how well students respected their friends’ games and did not touch them during the day. To ensure fairness, students could sign on to play the next round which would include the winner of the previous game. Chess was also popular and we had many chess sets donated after a local club introduced the students to the game at the instigation of a teacher with a passion for it. Two students who had often been seen as trouble-makers in the playground organised a Round Robin competition and one lunchtime a week, all the library tables were set up for this. Suddenly the boys had a purpose and a responsibility and not only did their attitudes changes, but the attitudes of students and teacherstowards them also shifted. 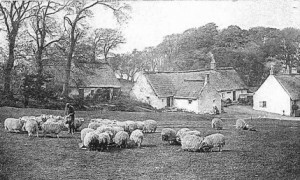 They were popular rather than pariahs. Students were encouraged to bring in their own games too and often the popularity of one of these determined the library’s next purchase. However, parents were also very generous and donated games too, often instead of a book for the Birthday Book Club. Some of our Asian students also introduced their friends to the mysteries of Mah Jong which soon became as popular as chess and brought community members in as teachers and mentors, strengthening the ties between home and school and amongst the community, which had a broad ethnic base. 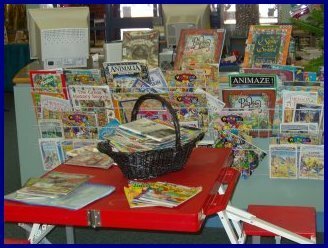 As well as the actual games there was a significant collection of books in the Pick-a-Puzzle section that was always popular as students pored over pages to find Wally or travel through mazes or solve clues to progress through an adventure. This lead to the creation of our own version of Where’s Wally as students created clues about where in Australia he might be for their friends to unravel, as well as The Quizzard of Oz, still going strong as Backpack Bear. The Pick-a-Puzzle collection was always popular. Some of the enduring memories for me of these games sessions are the camaraderie between the players, the gentleness and patience that experienced students showed as they taught younger or inexperienced children how to play, the willingness to abide by the rules and the acceptance that it is OK to lose, because, after all, it is only a game, even though it might be instilling life lessons. Computer games were beginning to make an appearance although hand-held devices like Donkey Kong were discouraged at school and mobile phones were not what they are today. However, there is a growing body of literature that is exploring how popular games can have significant value in the learning process both in the library and in the classroom. MindShift examines Beyond Grades: Do Games Have a Future As Assessment Tools? and How game-based learning teaches problem solving in context while Russ Pitts examines how video games can change the world, one child at a time. and Dean Groom asks What’s holding schools back from using games in class? In the Winter 2013 edition of YALSA (Young Adult LibraryServices)– Vol. 11, Number 2, entitled Minecraft Programs in the Library: If you build it they will come by Erica Gauquier and Jessica Schneider, and there have been a number of discussions in the Scootle Community about its use in the school context. Judy O’Connell has also blogged about it in her Hey Jude blog post Building the (Minecraft) lost city of Babylon In fact there is new literature being published almost daily demonstrating that this is a hot topic that the teacher librarian not only needs to know about but also should be taking the lead in sharing the literature and starting the conversations. If, like me, you feel you don’t know enough about the online gaming learning environment, then Games MOOC offers an open course designed for educators who want to learn more about games, simulations and game-like environments for education. It is designed for all levels of participation and a new course will start in July 2014. You can look at what has been offered previously to determine whether this would be of benefit. In the meantime, Blake J Harris has traced the development of the videogame and he has identified 10 Video Games that Book Lovers will enjoy Some of them go way back to console systems like Atari so might not be easy to access, but if you read the comments at the bottome there are other suggestions to explore too. There is also the NMC On the Horison video to view, while the School Library Association New South Wales is holding a gamification conference in August 2014 but if you can’t get to , the page offers some names of people to follow in this field. Drawing families into the library for a Family Games Night like the more traditional Family Reading Night offers another avenue to promote the library and its services to parents, including those who share their child’s perspective that a library has nothing to offer them. Because Games and Gamification has been identified as one of the 18 top trends in the 2014 NMC Horizon Report K-12 edition, the game-player’s hat might become a game-changing one! A vision statement is just the beginning. If it is to come to fruition then it needs to be teased out in and supported with a formal strategic plan which becomes the road map to the destination of your vision. Such a plan shows the pathway forward, guides decisions, helps negotiate obstacles and avoid detours, has markers and milestones which prove your progress and ensures that your steps are leading in the right direction. What have we already got? Is this still valid, valued and valuable? What more do we need to have? What more would we like to have? How can we make the tasks manageable? What will be the roles and responsibilities of each person? How should the map to our destination be constructed? What are the priorities along the way? What resources are needed so we arrive at the destination safely? How will we know we are making progress? How will we know that our destination has been reached? Is the destination as far as we can travel or is there somewhere beyond the rainbow’s end? 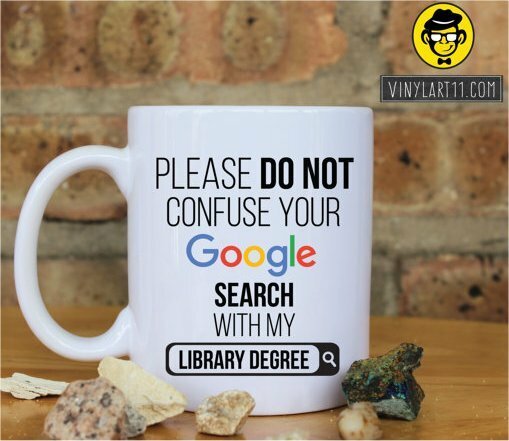 All that is done within the library, whether it is wearing your teacher’s hat or your librarian’s hat must contribute positively to the teaching and learning in the school. Whether overt or covert, it needs to support the staff and students in some way. Therefore, any changes need to be underpinned by an articulation of how they do this. Making changes based on sound pedagogical practice which is supported by evidence of its efficacy and efficiency demonstrates why we are teacher librarians with dual qualifications. All that is done also needs to meet the needs of the library’s users, both staff and students, and these cannot be assumed. Undertaking an Information Needs Audit will provide you with insight into those services which staff and students believe to be the most useful for them. It can also serve as an advocacy tool to alert them to the range of services you provide. Clicking on information_needs_audit will take you to a pdf version. Not everything needs to be done at once. In fact, it cannot be as one thing is often the foundation for the next. Establishing priorities not only identifies the sequence of the plan but also provides a defence if your professional practice is challenged. Goals are concise, specific statements of what will be achieved within a certain time period. They should be SMART. The usual timeframe for a strategic plan is three years as that enables time to identify, implement, expand and review. However, within the overall timeframe, specific smaller periods need to be identified so that the overall plan remains on track. These are based on the identified priorities of what is, what should be and what could be. Ensure that the timetable for action is published and readily available and establish a communication mechanism so team members are aware of dates and deadlines. Also create an at-a-glance management plan so progress can be easily seen. Where possible, identify the benchmark or starting point, and, like the goals, make the performance indicators SMART. While keeping priorities in mind, capitalise on initial enthusiasm and have a cluster at the start of the plan so initial success is achieved quickly, is clearly visible and the foundations for future development are laid. Set up a public document that clearly shows the progress that is being made so that success can be seen and annotate it to identify the contribution to teaching and learning. Who should lead the expedition towards achieving the vision? Who else should be on the journey? What are their vested interests? What will they need to know to enable the destination to be reached? In an address to a conference in Christchurch, New Zealand in 2003, leadership expert Tom Sergiovanni suggested that each team member makes five promises that will help the whole group work together to achieve the vision. As the teacher librarian, what promises should you make? Become familiar with the research about the impact of a well-funded, well-resourced school library program under the guidance of a qualified teacher librarian so you know there is well-founded evidence to support your beliefs about your role. Summarise the research into a list of key findings to distribute to team members. Use the Standards of Professional Excellence for Teacher Librarians to examine your professional knowledge, practice and commitment to identify the areas for personal improvement in relation to achieving the goals of your plan. Identify not only what you do when you wear each hat, but how much time you spend on each. Is there a balance or a predominance of one over another? What is your key role? What are the unique areas of knowledge and expertise that you provide the staff and students as a result of your training that a librarian or administration officer can not? Compare the answers to the goals of your plan and identify the priorities that you need to focus on so it can be achieved. Promise What do I intend to do? Purpose Why am I doing this?How will it contribute to the achievement of the vision? Strategies What are the steps that will help me achieve it? Timeframe When do I plan to start and finish? Support What do I need – time, people, resources, finance, learning – to achieve this promise? Success How will I measure and share my success? identify the five promises they will make on behalf of the group they represent and how these might be achieved. complete a similar document based on their experience, expertise and commitment to the vision. Publish and display these promises so that everyone in the team in whatever capacity is continually reminded that they are part of a connected community and have a responsibility to it. It is essential to identify the resources that will be needed so these can be planned for. Human – As well as the experience and expertise of the team members, there may be others whose expertise can be co-opted for a particular project. Their availablitiy may influence the priorities of your plan. Human resources may also include obtaining or providing essential professional learning so a target can be achieved successfully. Finance Many of the components may require financing either within or beyond the library’s normal budget so clear and complete costings are an essential part of the plan so these can be budgeted for by the prinicpal, the teacher librarian or external sources. Time As the plan’s co-ordinator, the teacher librarian may well need extra time beyond their normal allocated administrative time so this needs to be negotiated with the timeclock holders within the school. Regular team meetings will also need to be held and appropriate times for these need to be negotiated. Physical Achievement of the vision may require the provision of physical resources such as the reconfiguration of a space or the provision of ICT infrastructure, so these also need to be identified and costed, and their provision worked into the priorities. Identify the sort of external support that will be required, such as tradesmen to upgrade the ICT infrastructure; experts who can provide appropriate professional learning; collaboration with other staffmembers; or outside funding and integrate these into both the priorities and the budget. Often with a new vision, there is a new focus and direction which brings with it changes or updates of policies and procedures. It is essential that these are done so that the plan can continue regardless of who is sitting in the teacher librarian’s chair. It is also important for the strategic plan to be formally constructed, published and displayed so that all stakeholders and those in the school community can see that there is purpose supported by identified prioriites and so forth. It also enables progress to be mapped. As parts of the plan are achieved, document these for future reference, including the pitfalls so there is a clear account of and accounting for all the time and effort that has been expended. Share progress and success with the school community so they are kept informed of the changes and how these are impacting on the teaching and the learning within the school. A vision and a strategic plan can only ever be guides, not set in concrete. Circumstances change over three years and so there always has to be the flexibility of reviewing the priorities and programs, and changing direction as necessary. As well, as things are put into place, new opportunities and possibilities open up. But instead of following these detours, perhaps at the expense of your ultimate destination, write them down so they can be new pathways to be explored in your next vision statement. Ensure your steps continue to lead you towards that destination. Libraries have been part of society’s culture since man first began to convey information by etching images on the walls of caves. School libraries have been part of the Australian education system since well-meaning people in London sent religious texts to recently-established Sydney so the children of the convicts would learn to read the scriptures, learn from them and become better people than their parents. 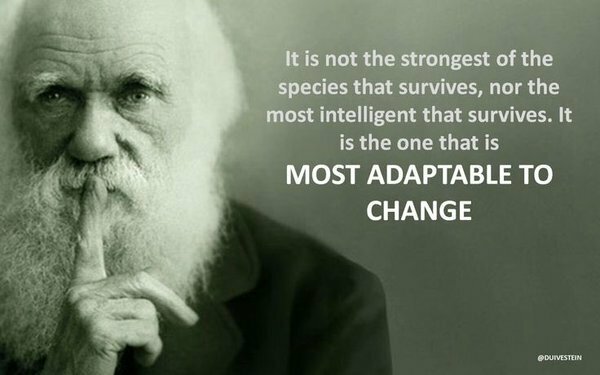 But libraries, like society, change so they can meet the needs of their users and remain relevant in the context in which they sit. Digital technoliges have replaced markings on cave walls, and school libraries have evolved to be much more than a repository of religious readings. These changes have not happened because Tinkerbell sprinkled fairy dust. They’ve been inspired by visionaries in the profession – those who have the ability to see around corners and over hills; who see obstacles as opportunites; who aspire and inspire and lead change which others are compelled to emulate. With the introduction and implementation of a national curriculum in Australian schools, and the rollout of the Common Core Standards in US schools, and other significant changes being made as the developments in technology roll inexorably on, this is a time for great change and great opportunities in school libraries – change that can be directly linked to mandated requirements and supported by evidence that makes its acceptance and resourcing more likely. But for change to be successful and sustainable, it needs to be planned and supported. In my very first post on this blog I explained my adherence to Covey’s mantra of “Begin with the end in mind”, and this is essential to the change process. To begin with the end in mind means to start with a clear understanding of your destination. It means to know where you are going so that you better understand where you are now and so that the steps you take are always in the right direction … how different our lives are when we really know what is important to us, and, keeping that picture in mind, we manage ourselves each day to be and to do what really matters most. To have a vision of the destination so your journey continually leads towards that is essential. Encapsulating the dream in a precise and succinct statement provides the focus and foundation on which to develop a strategic plan incorporating goals, policies, strategies, performance indicators, and a timeframe that will lead to its achievement. Creating a vision statement is a complex task. It is a narrow, future-oriented declaration of the library’s purpose and aspirations. What does a best-practice library look like? What does a best-practice teacher librarian do? There are many models on which you can base your ideas – my favourite is the Springfield Township High School Library developed under the guidance of Joyce Valenza – and the Standards of Professional Excellence for Teacher Librarians statement developed by ASLA is an essential guide to the sort of professional knowledge, practice and commitment a top-shelf TL has. Articulating your beliefs in such a way takes them out of the world of the airy-fairy and into a tangible document that can be used to shape goals and defend decisions. However, you need to keep in mind the practicalities of your particular situation. Consideration must be given to any requirements, restrictions or expectations put on your vision by your school and only you can decide if these are important enough to embrace as an enhancement of your beliefs, adapt so they fit with your beliefs or try to change through evidence of better practice To set impossible goals based on someone else’s ideality rather than your reality only leads to despair and despondency as it looks like failure. What is this library about? How do we demonstrate these? However, it is essential to understand the difference between a mission statement and a vision statement – the former defines your purpose, your reason for being; whereas a vision statement identifies your future direction. drawing on the perceptions and needs of the stakeholders so that the vision is shared and they feel they have ownership of it and can make a contribution towards its success. Establishing the current state of the library’s programs, services and environment is essential because it identifies its strengths and its needs, as well as establishing a benchmark against which future progress can be measured. It identifies whether what is currently on offer is valid, valued and valuable. There are several ways that this can be done – the most common being a SWOT analysis. Rather than trying to assess everything in one analysis, it may be more practical to identify the key factors that make up what you offer and on both the educational and resourcing sides of the coin and analyse them individually, then combining them into a summary. School library programs and services and the environment in which they sit are subject to outside influences such as mandated curriculum, identified school priorities and the needs, interests and abilities of their clientele so establishing and articulating what these are and how they shape what is delivered is essential. As well as pinpointing what the essential elements are, they also provide evidence to support any proposed changes enhancing the likelihood of the vision being accepted and resourced. Start by examining the Standards of Professional Excellence for Teacher Librarians and identifying some personal professional goals that will guide your professional learning and practice and may lead to innovation and initiatives that have not been considered. Identify leaders in the field such as Joyce Valenza, Buffy Hamilton, Judy O’Connell, Doug Johnson and Lyn Hay and follow their blogs and other social media communications to see what’s happening at the leading edges and how you might be able to adapt it to your situation. Look for Facebook groups such as iCentre and Evidence-based Practice for School Libraries and for Pinterest boards and so forth which share photos and links that can provide inspiration. Standing on the shoulders of giants is a great way to become a giant yourself and instead of following the pack, you become a leader of it. Create surveys for your clients that give them input into what they would like the library to provide and go out of your way to find out the needs of the long tail -those whose needs and interests are not met by the common, the popular or the overtly-on-offer and who do not use the library’s services becasue of this. The final step in this process is writing the vision statement. Visions statements need to be precise and concise stating what the library and its services (educational, resourcing and environmental) will be like at the end of the time period (usually three years or in line with the school’s development plan.) They are aspirational using superlative language that inspires others to want to be part of the process. 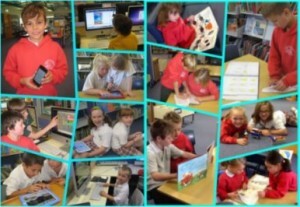 An excellent 21st century library which supports the teaching and learning at xxxx Primary School. Having identified where you are going and where you want to be it is time to put on your leader’s hat but that is another post for another day. Finally, both hats have to be worn at the same time as the newly-acquired resources are promoted and displayed so that their existence is widely known and they are used. On top of all that, the TL also has to be able to write the policies and procedures that encapsulate the decisions and the thinking that underpins and justifies them so that collection development remains constant and consistent regardless of who is at the helm. I learned way these terms back when from Learning for the Future (2nd edition) (ASLA & ALIA, 2001) and they still hold true today. I believe that that sums up what we do so succinctly and is timeless. Regardless of any changes such as a name change of the space, the new horizons opened by technology, new curricula or in-vogue pedagogy, those three roles remain our core business. For me, the hat that fits most snugly is that of curriculum leader for that is the one that puts the teacher in teacher librarian. I’ve been working with a colleague developing a new Library Development Plan, in particular aligning it to the school’s development plan, and almost every proposal came back to putting on the curriculum leader’s hat. The nature of the role means it is the TL who has the best overview of the entire curriculum being designed and delivered in the school, sees how it all interweaves and locks together and through collaborative planning and teaching, can embed the information literacy process into it so there is connected, meaningful learning for the students. The rollout of the strands of the Australian National Curriculum across the country is an exciting time for TLs because not only does it give them the perfect opportunity to shine but they are the ones with the birds-eye view who can pull together the old and the new so the transition is smooth; identify the connects and disconnects so learning is cohesive and coherent; and support staff and students through the provision of the most relevant resources. In a school I once had the privilege to teach at, the curriculum only had two strands – investigation and communication. Everything fell under one umbrella or the other – we were either learning about something or we were sharing what we had learned. As the TL, I held the ends of both strands. Investigation is based on research. Regardless of the depth required to solve the information need, the skills of research are an essential and those skills are based on information literacy -the ability to identify an information need, locate appropriate resources to solve it, then reading, evaluating and interpreting what is found to create a satisfactory solution. If, as Mike Eisenberg says, information literacy is “the most basics of basics”, then who better than the teacher who has information literacy as their specialist subject to lead its embedding as an across-curriculum perspective? To teach the teachers as well as the students? To lay the foundations of a scaffold that will support that platform of lifelong learning that is the stated outcome of Australian education for K-12? Communication is based on talking, listening, reading, writing, viewing and performing so who better than the teacher who has the whole curriculum as their specialty to support the development of the essential skills? To provide leadership in curriculum planning so these are to the fore? To collaboratively plan and teach with teachers so opportunities are explored and exploited.? To provide a range of resources to make the design, delivery and assessment of the curriculum seamless? ICT stands for information communication technologies so who better than the information and communication specialist to be the leader in the introduction and implementation of new ways to do old things? To encourage teachers to pose problems that cannot be answered through copy-and-paste and a few mouse clicks? To ensure that ideas, information and images are used ethically? To understand the potholes and pitfalls that exist in the online world and help staff and students navigate them safely, managing their digital footprints responsibly? The TL is also the person who sees every student in the school, often at least once a week, so who better to tap into that long tail of students who don’t see the library as meeting their needs and addressing their concerns? Who, with a reasonable budget, a knowledge of the collection, and the ability to search effectively and efficiently, can better respond to students needs at the point of need? If we are to ‘future-proof’ our positions, then it is essential that we promote the teacher part of teacher librarian.